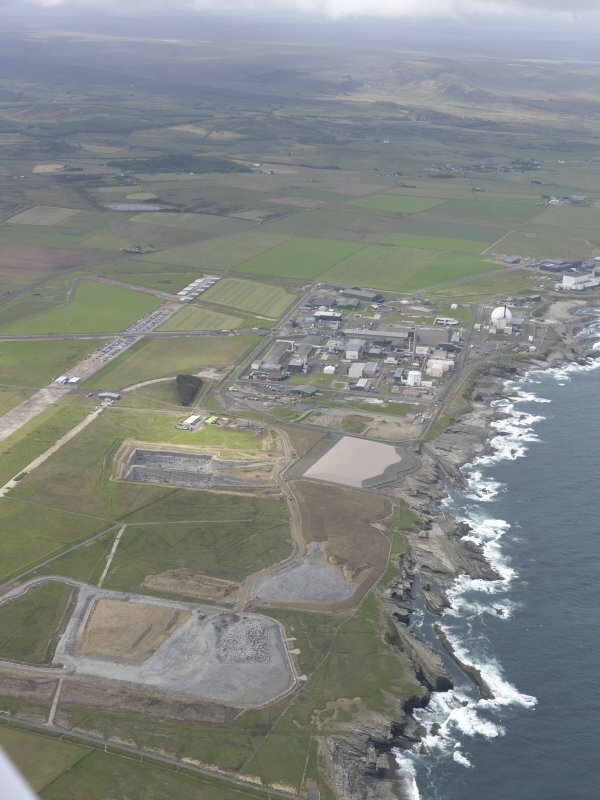 Oblique aerial view of Dounreay Nuclear Development Establishment, looking S.
Oblique aerial view of Dounreay Nuclear Development Establishment, centred on the site of the storehouses, looking SE. 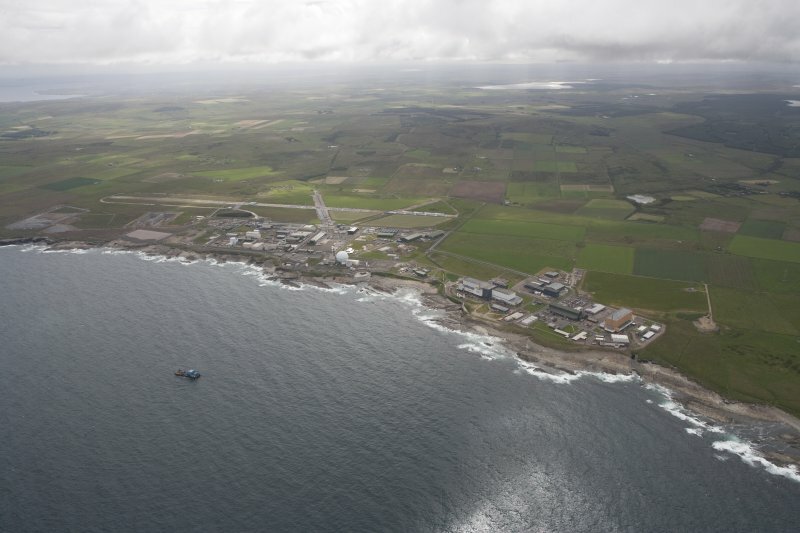 General oblique aerial view of the Dounreay Nuclear Research Facility, taken from the NW. Location formerly entered as NC 98 67. 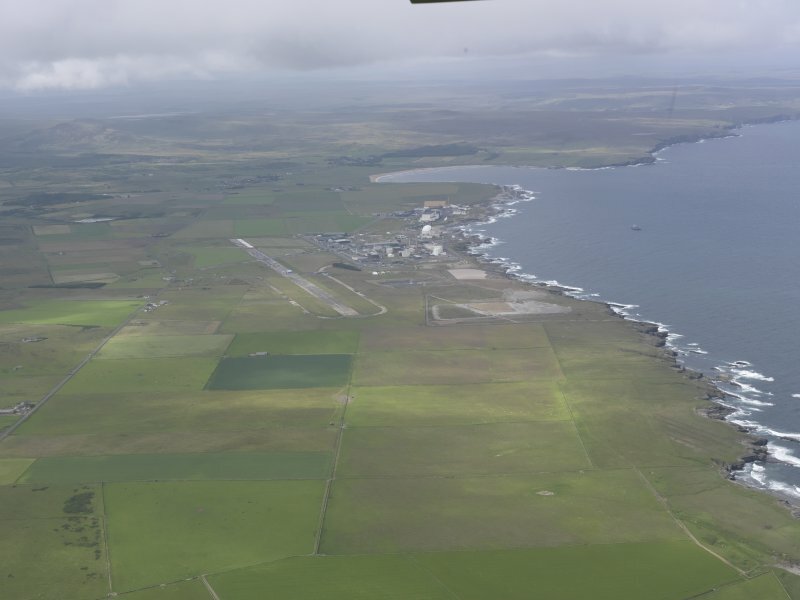 For (pre-existing) Dounreay airfield (centred NC 993 670), see NC96NE 87. 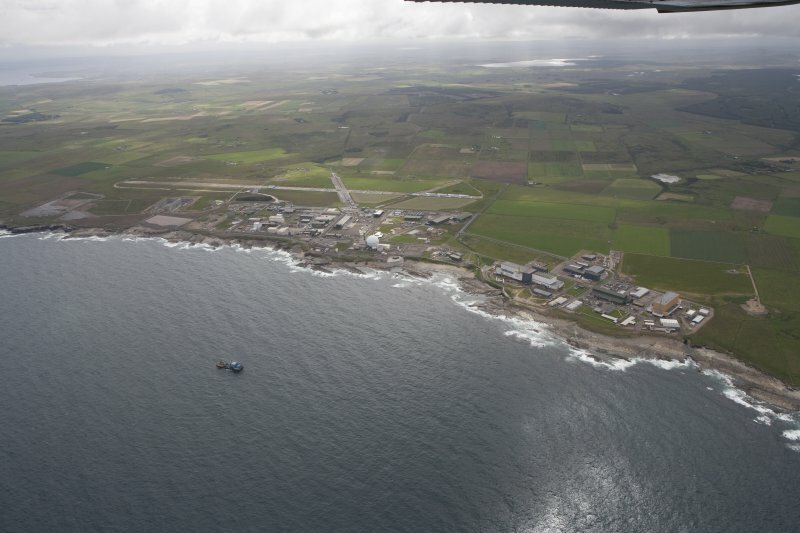 Dounreay experimental research establishment. Large industrial complex, the fast reactor housed in a giant eau-de-nil golfball. 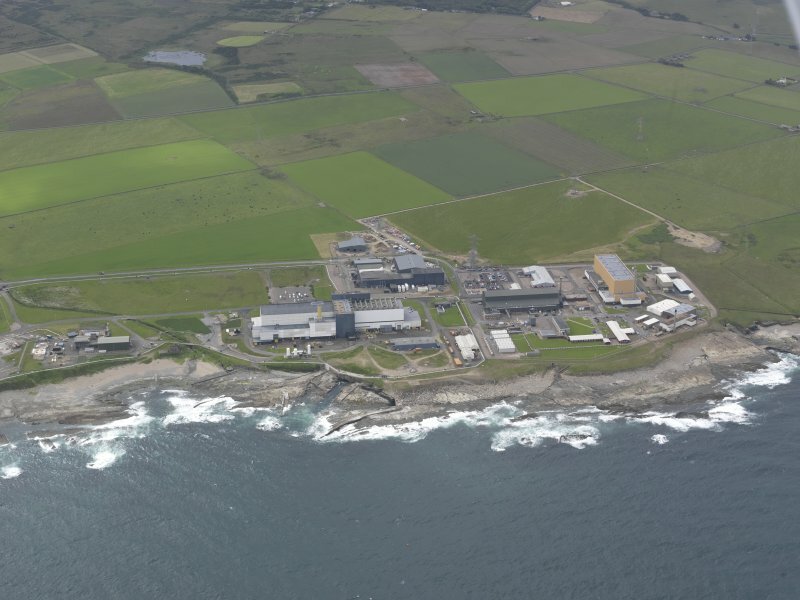 Dounreay Research Establishment began producing electricity in 1974. 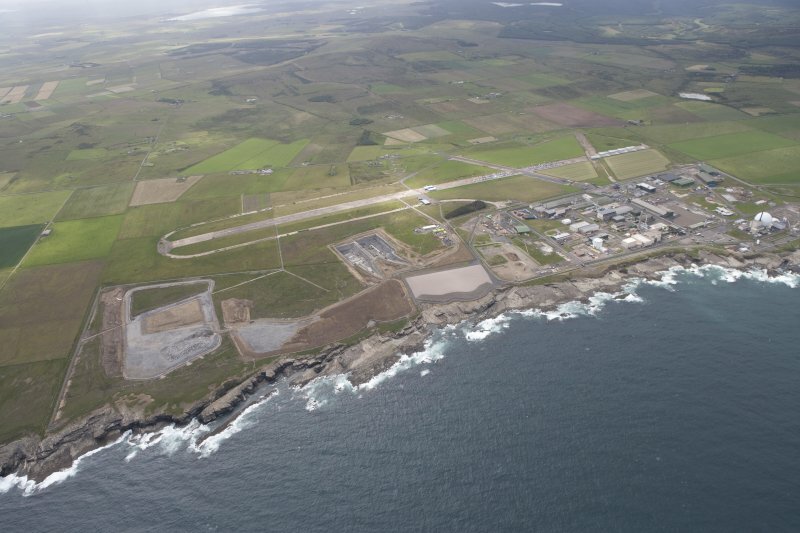 Dounreay Nuclear Establishement ceased operating 1994. 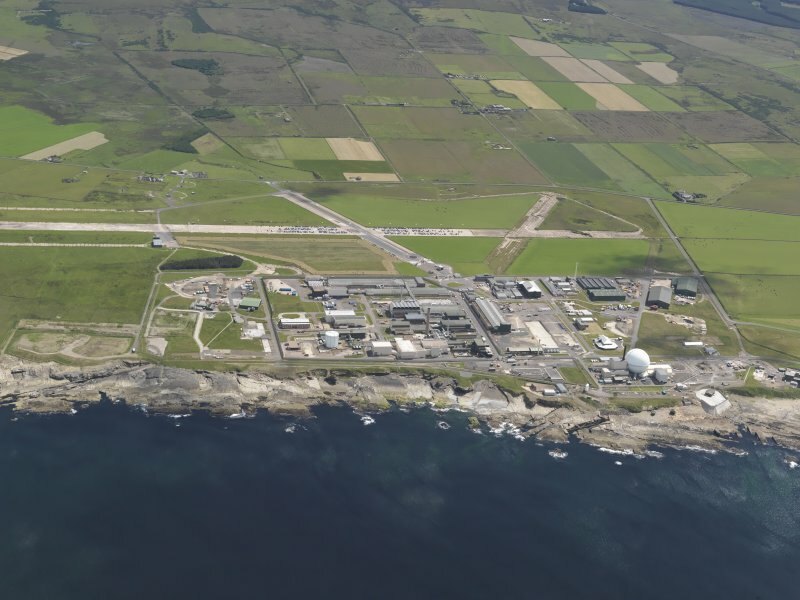 Decommissioning will be completed around 2022-25. 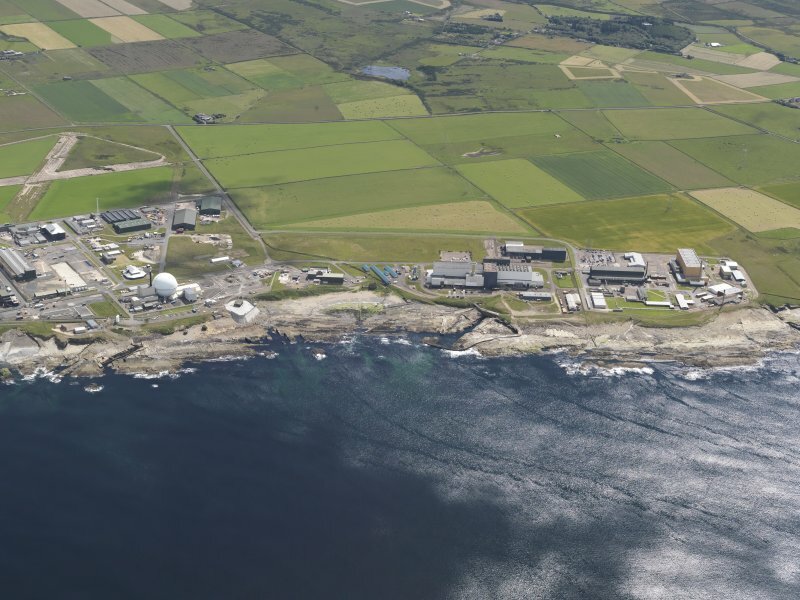 Dounreay, with its distinctive green sphere, lies 10 miles west of Thurso. The nuclear establishment was built to prove the attractive but, at the time, untried concept that fast reactors could generate electricity and at the same time breed additional fuel. 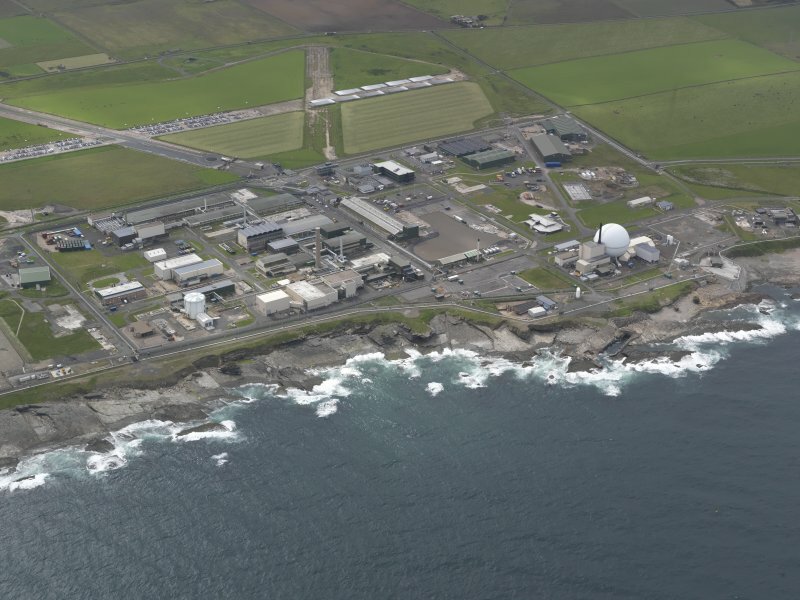 The Dounreay Fast Reactor was housed in the sphere, which was fabricated from inside as illustrated. Around the sphere were fuel fabrication plants, chemical and metallurgical laboratories and fuel reprocessing plants. fuels and materials as well as a safe generator of electricity. 1974 and began supplying electricity the following year. 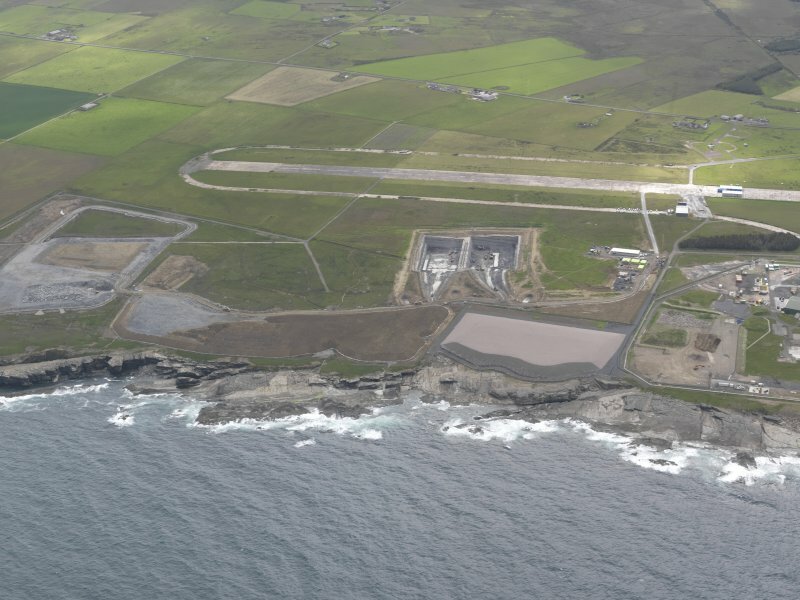 In 1982 one of the primary advantages of fast reactors was demonstrated when fuel created within the reactor was recovered and returned to the reactor as new fuel. 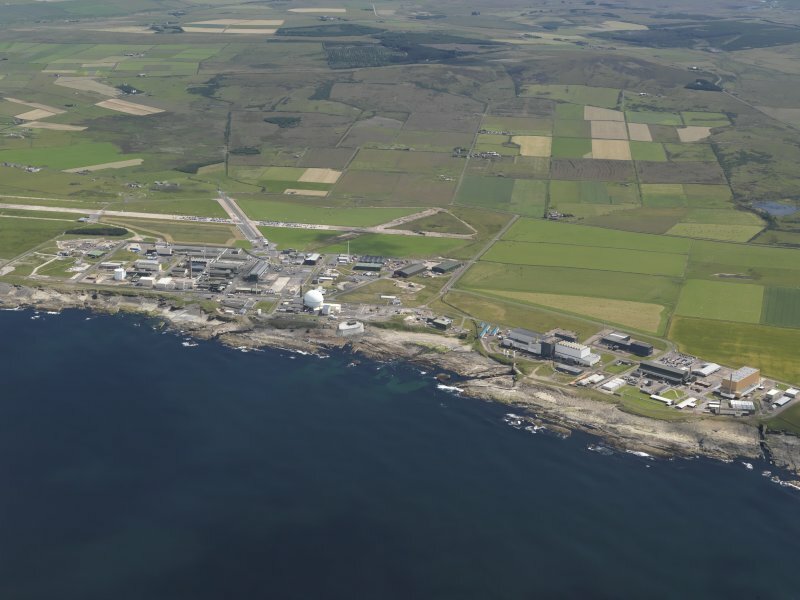 By this time the energy crisis, which had initially prompted nuclear expansion, had been assuaged by the discovery and exploitation of North Sea oil and gas. As a result, the fast reactor research programme was wound down. The prototype power station ceased operating in March 1994 and radioactive facilities throughout the site are now being decommissioned.